Ezt a terméket eddig 72 alkalommal vásárolták meg! 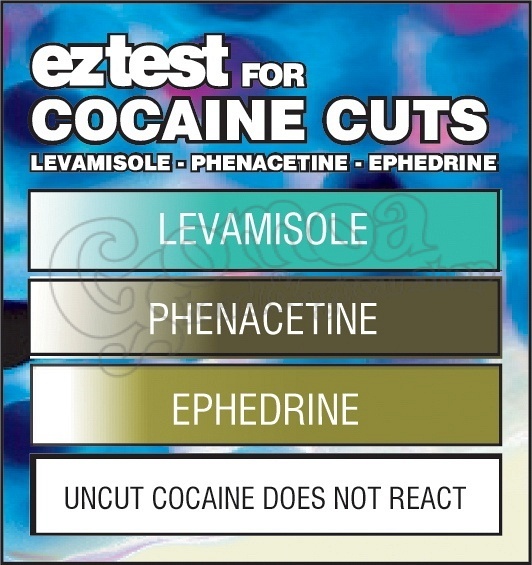 Finally there is a test that can detect the presence of levamisole, phenacetine and/or ephedrine in cocaine. By using this easy-to-use, inexpensive test you can be assured that your sample isn't tainted with these crazy adulterants that can have devastating effects on your health and well-being. However, it doesn't say how pure your sample is. For this we recommend our test for Cocaine Purity.